I’m hooked. No question about it. Stitching these little blocks is nothing but fun. They’re a quick stitch and those perfect curves make me smile every time. I need around 40 of them for the border I’m planning but, at the rate they’re going together, it’s not going to take long. But ideas for a quilt made with just these blocks keep floating through my mind. It’s one of those blocks that I find irresistible. Thursday was a great day. The pink and cream quilt top is finished. When I got up Thursday morning, I decided it was time. Sashings were cut, sewn to cornerstones and added to the blocks and then the final border was added. What I learned yesterday? That machine piecing isn’t that difficult. All the joining was done by machine, while the blocks themselves were hand pieced and I got it all put together without having to rip out any seams. The top finishes at around 60 x 70, and I am thrilled with it. Pictures when it’s quilted. I’ve already got the quilting planned for it. Charlsey posted some pictures on her blog post here from our two days of stitching, talking and planning as well as some interesting people watching. 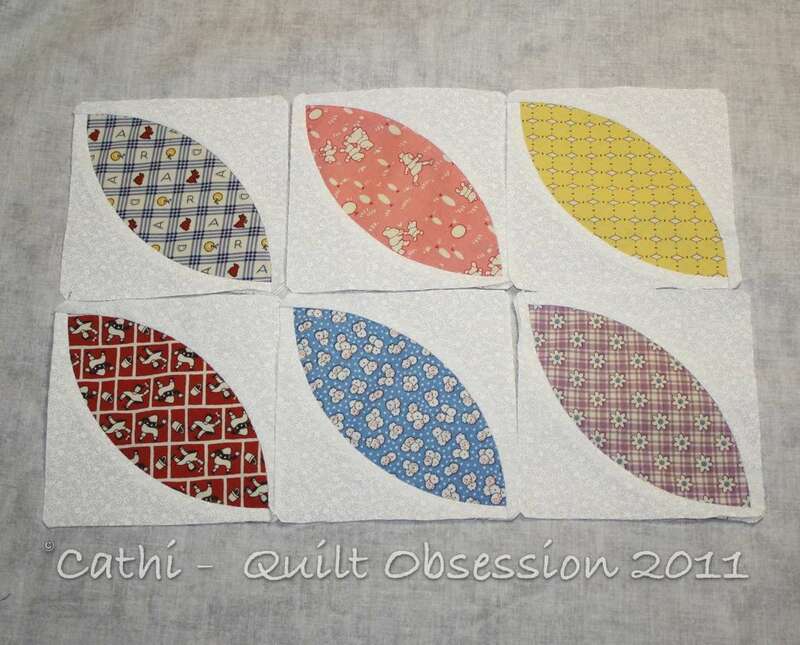 There’s one shot of Charlsey’s Seven Sisters quilt and my X’s and O’s quilt that I love. The hotel lobby is rather beige and I think our quilts added some needed colour! For some reason we got no new photos of the cats on Thursday. Things are definitely looking up — the two of them had one of their mock battles on Thursday evening, which they haven’t really done for a couple of months. This is one of my favourite photos and a rather rare shot of the two of them together that was taken a few months ago. Isn’t it fun when you get hooked on a certain project and have difficulty stopping yourself? I love that. Can’t wait to see what you have in store for the melons. But I really think that you should post a photo of the cream quilt before you quilt it. Inquiring minds would like to see. Love the shot of the cats! I can’t wait to see that finished quilt! I LOVE this picture of the boys!! I’m glad you are having good luck with the machine assembly. It will save your wrists as the pieces get bigger. 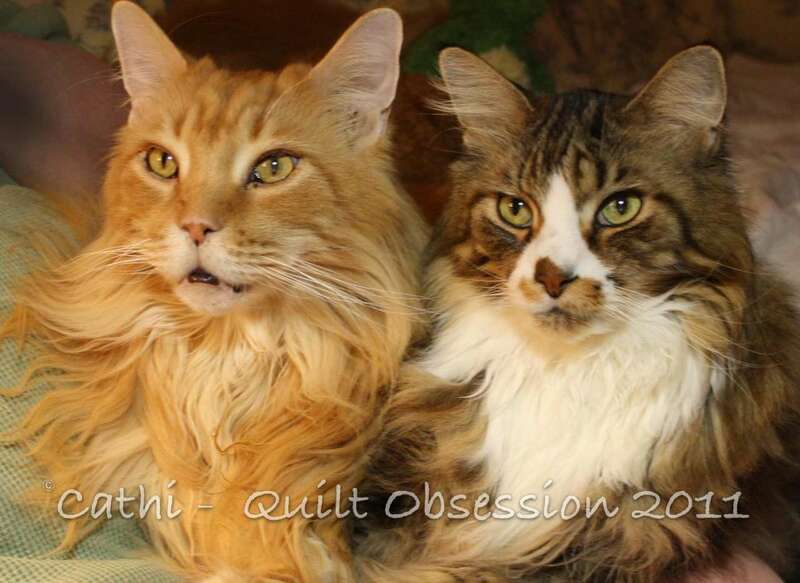 I love the photo of the kitties together! Your melons are SUPER cute.